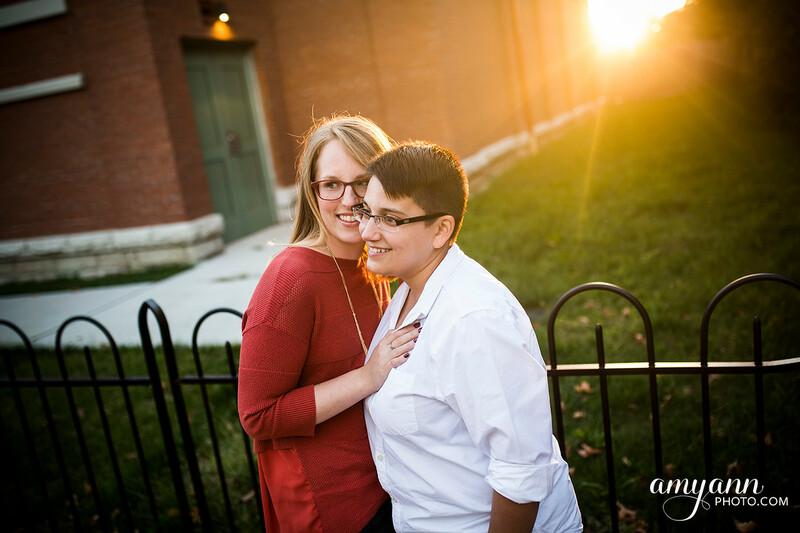 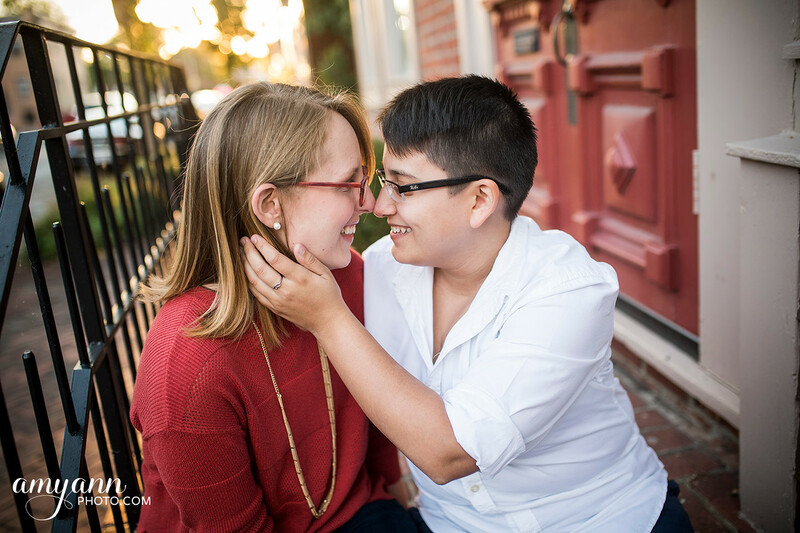 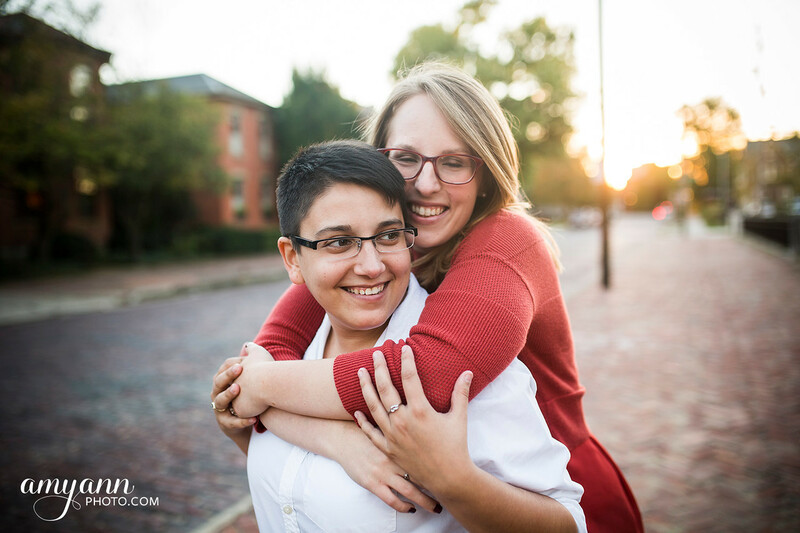 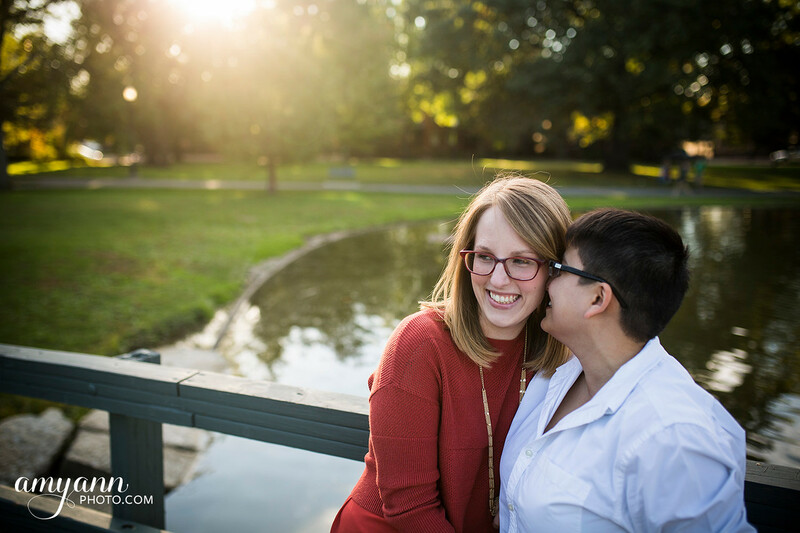 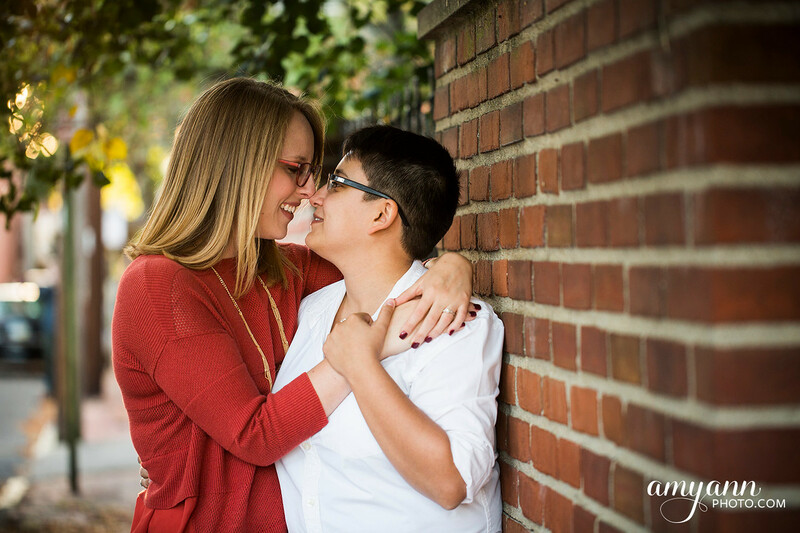 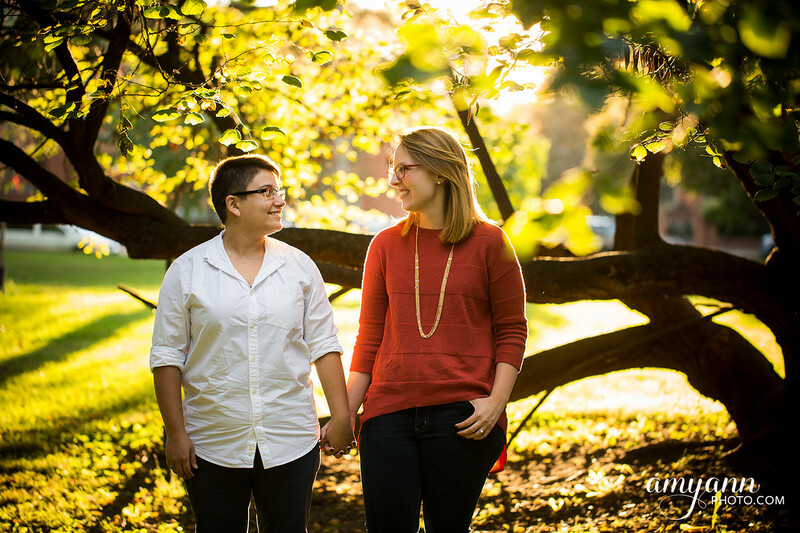 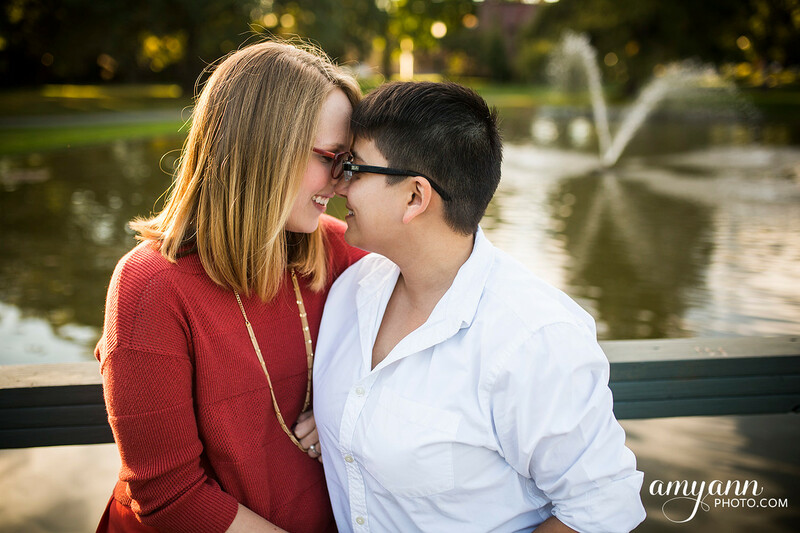 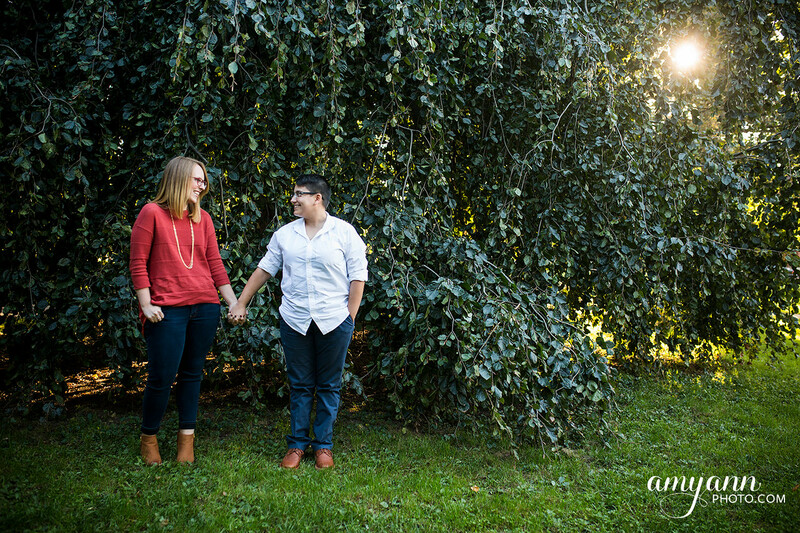 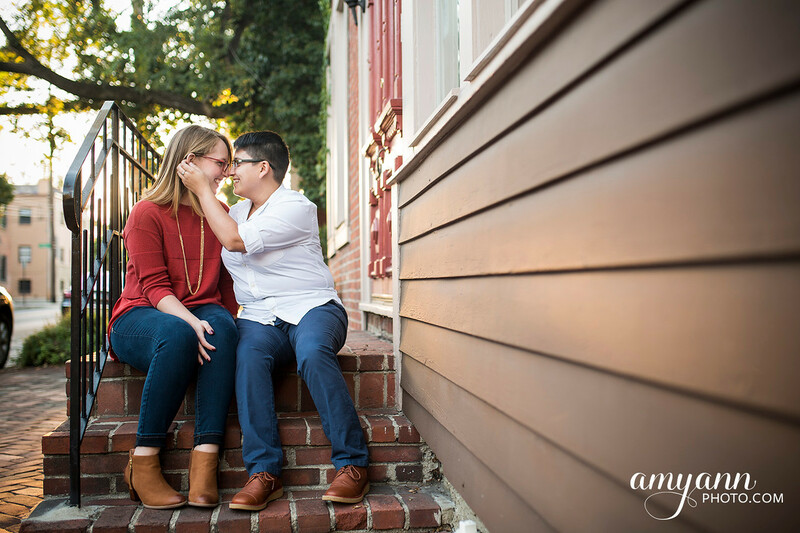 When I first heard from Michelle + Priscila, I heard from each of them separately, before they were engaged! 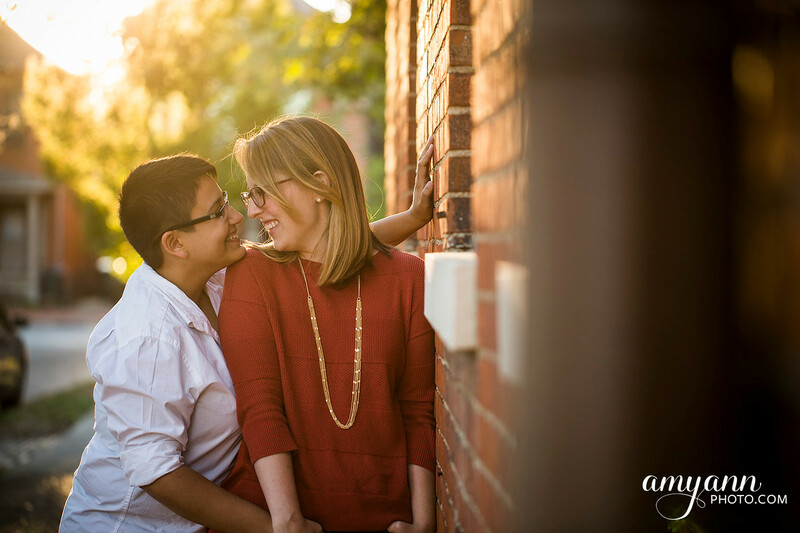 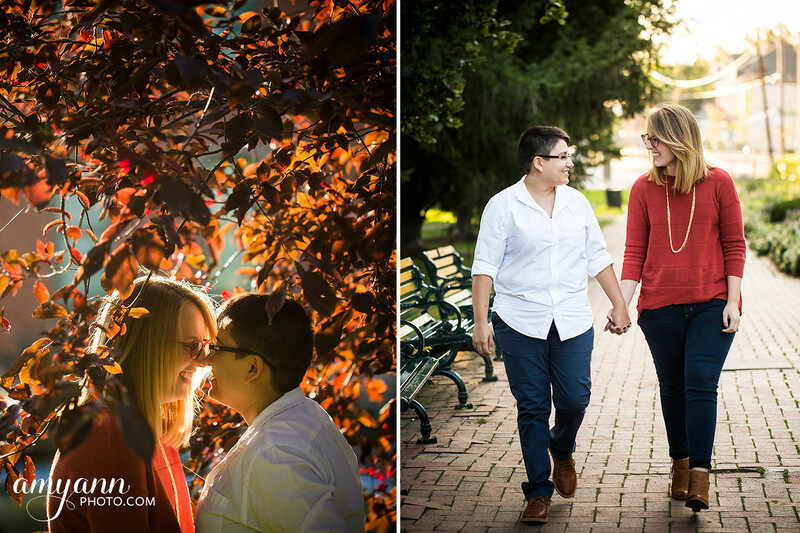 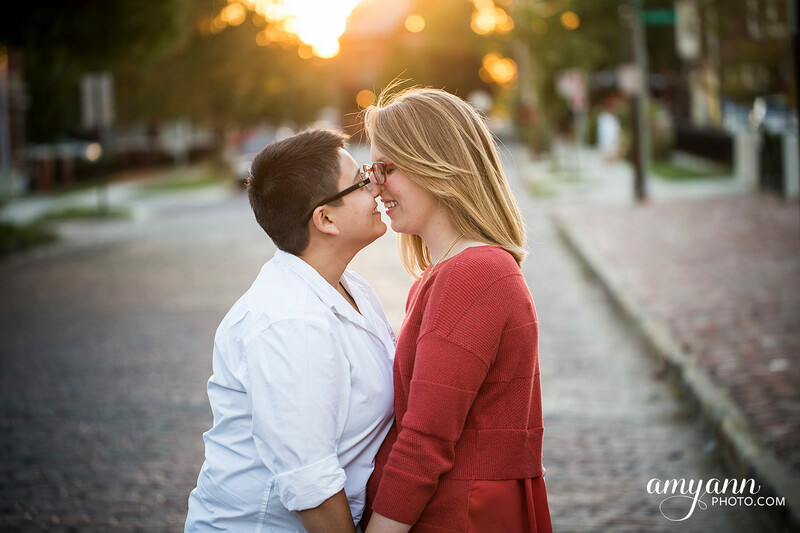 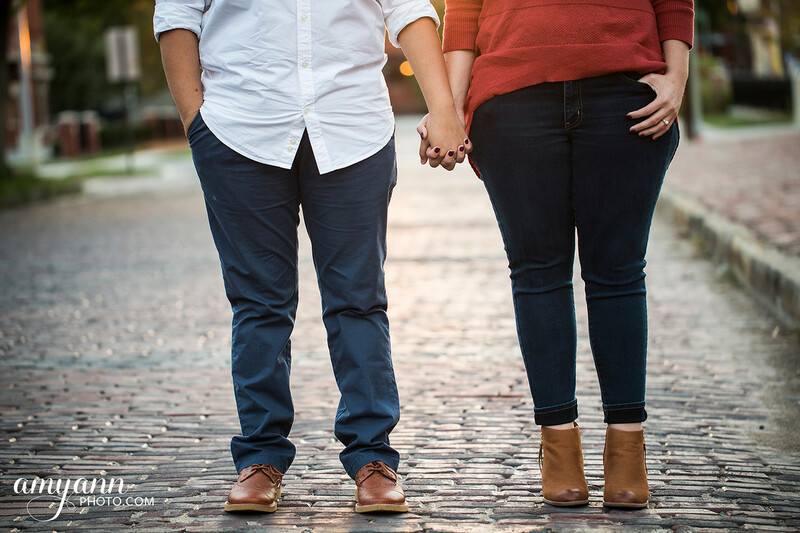 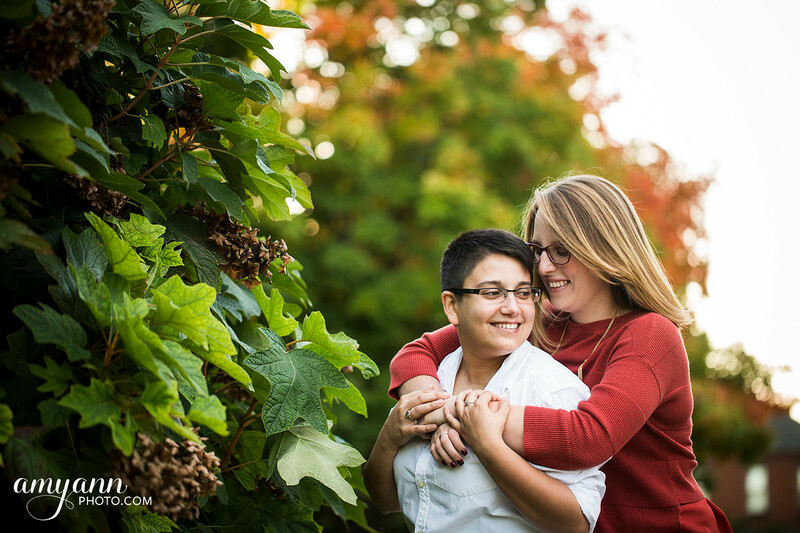 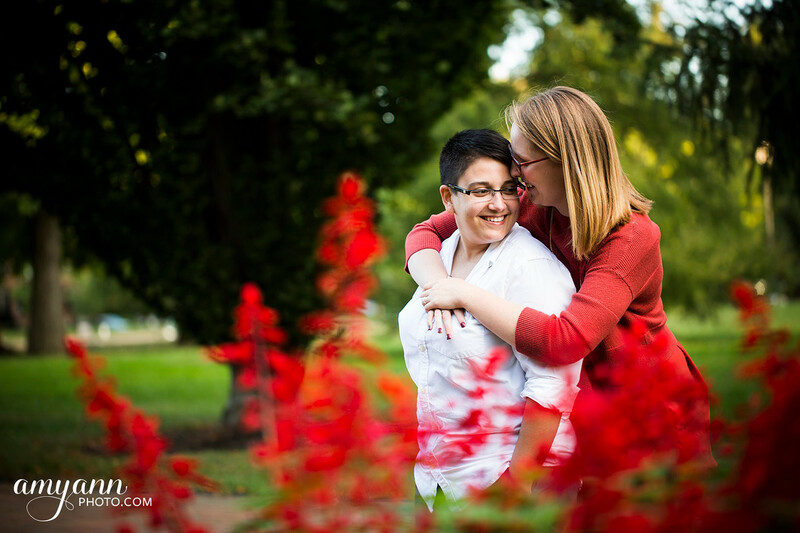 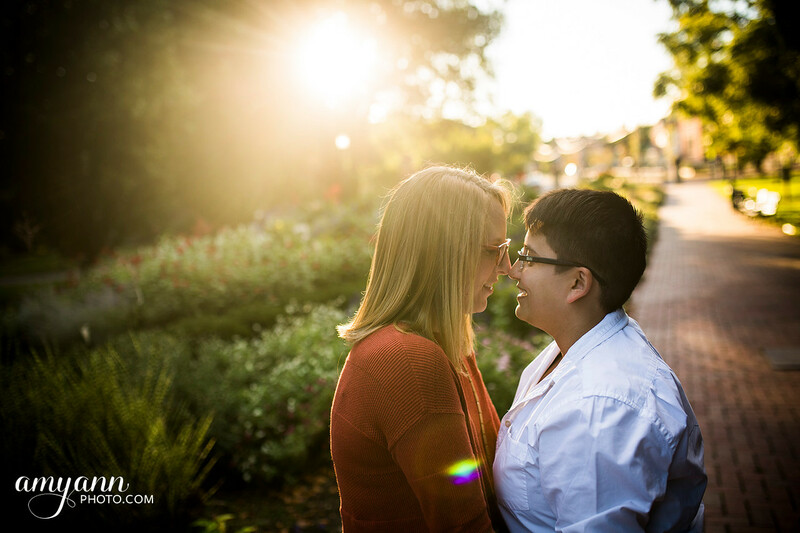 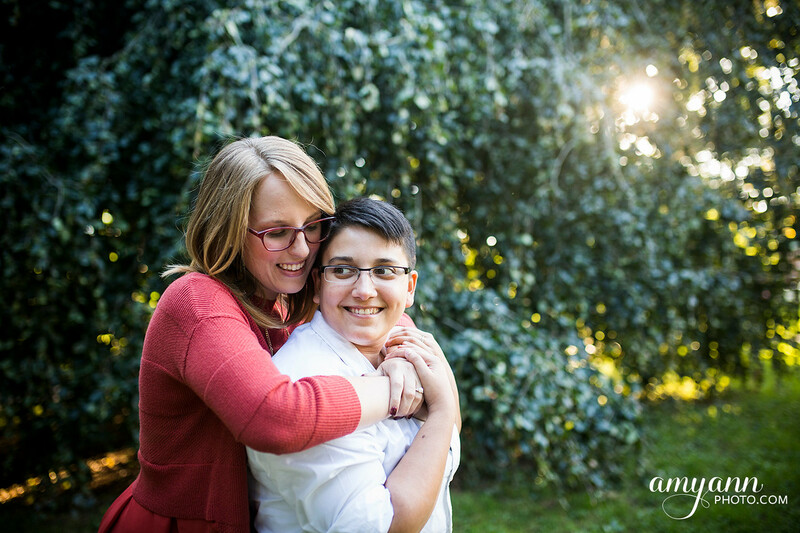 Michelle wanted to plan a couples shoot for them, while Priscila was planning a surprise proposal! 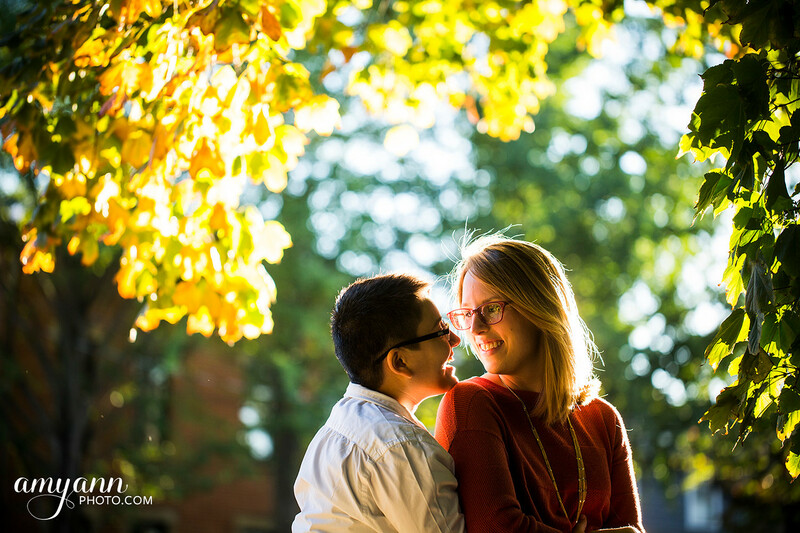 In the end, I wasn’t available for the proposal, but once it happened, the couples shoot was scrapped, in favor of their engagement session and wedding! 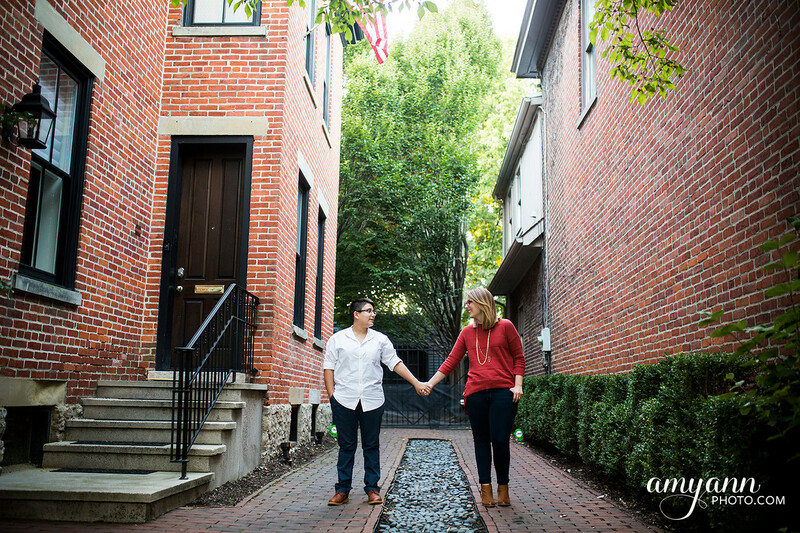 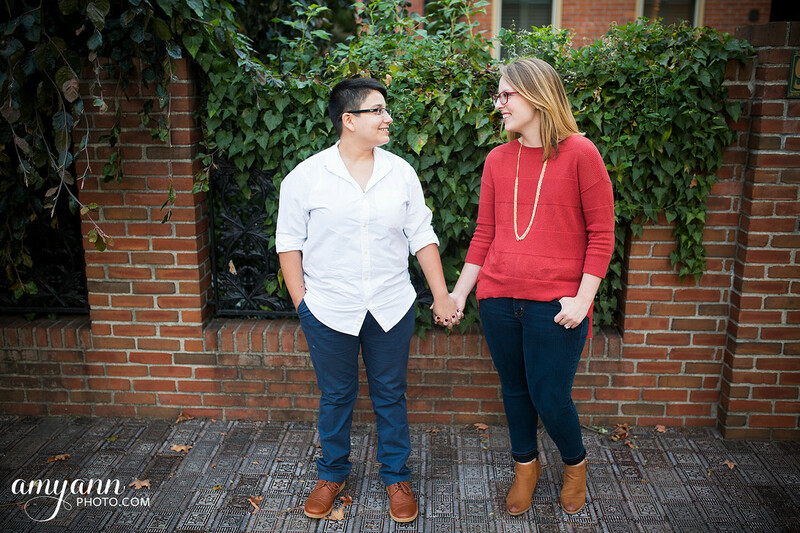 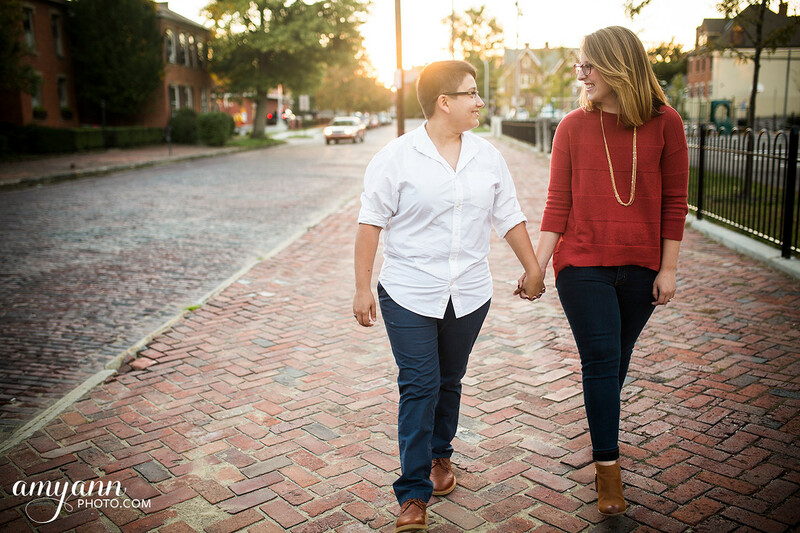 In fact, when we met up for their fall engagement in German Village earlier this month, it was the first time we were actually meeting in-person, though with all the correspondence we’d had over the past several months, it certainly didn’t feel like it. 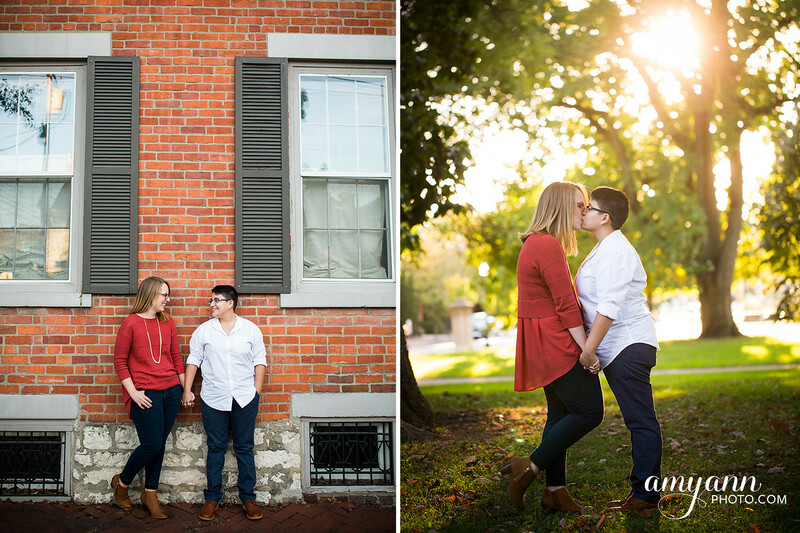 It was a quiet Monday evening, and we started at Schiller Park and made our way towards the nearby German Village neighborhood as the sun set. 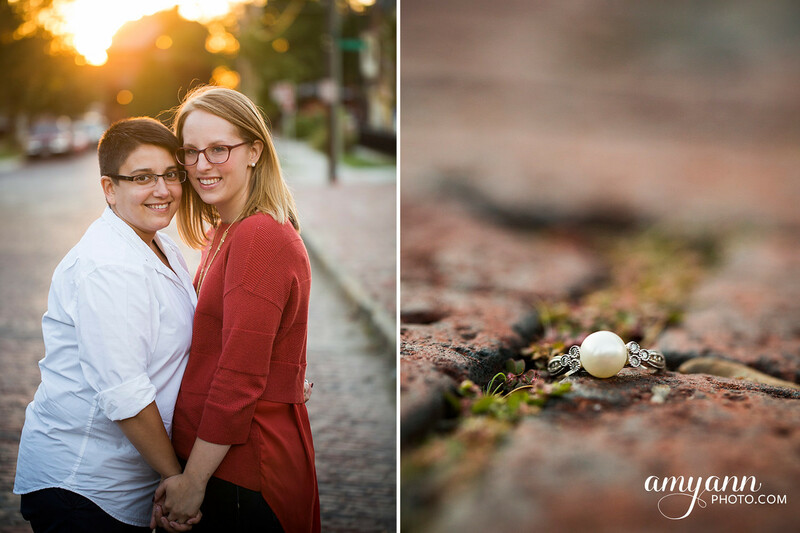 It was just a couple days shy of one year from their wedding day, which I’m very much looking forward to next October!